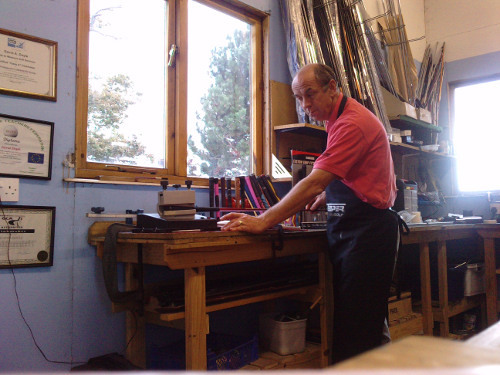 “I have been playing golf for some time but it was not until some years ago until I began playing with custom-fit clubs. I became interested in this when I realised that I could get quality clubs made specifically for me for a lot less than I'd pay in the shops for branded sets. So, after enrolling on a club-fitting training course, I set about building my first set of clubs and was thrilled at the results. Impressed by the instant improvement in my game, a friend asked me to build him a set too. It was then that I realised that I could do this for a living and Made to Measure Golf Services is the end result. Considering their proven effectiveness, it would seem that everybody would use clubs custom-fitted to their style of play. However, they do not. There is a number of reasons for this. 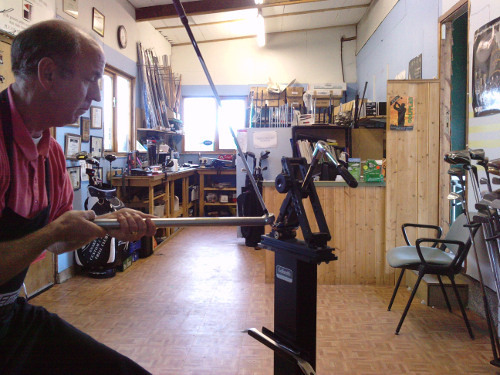 One is lack of awareness; if golfers do not know that they can get clubs built for them, they will not go out and look for a good clubfitter - instead they end up at either the pro-shop on their golf course or the sports superstore and with a another bag-full of mass-produced clubs. Another reason why clubs still sell off-the-rack is successful marketing of a brand. The fact is that there are many golfers who are happy to spend hundreds of pounds on a driver on the basis of a claim that it will get them an extra 10 yards. There may be marginal benefit on occasions but, more often than not, a bigger factor in the choice of the buyer is the logo on the side of the club rather than the results obtained with it; it is important to some golfers to have the same brand as Colin Montgomery but, ironically, it is the very professionals who advertise these clubs insist upon custom-fitted clubs themselves. Custom fitting is available in Basingstoke. Please call David on 01256 322007 to book an appointment.